It’s the 60’s vs the 70’s… The Legends are in your hands with this two player starter set. 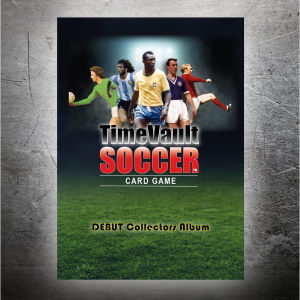 Contains everything you need to start playing straight out of the box. 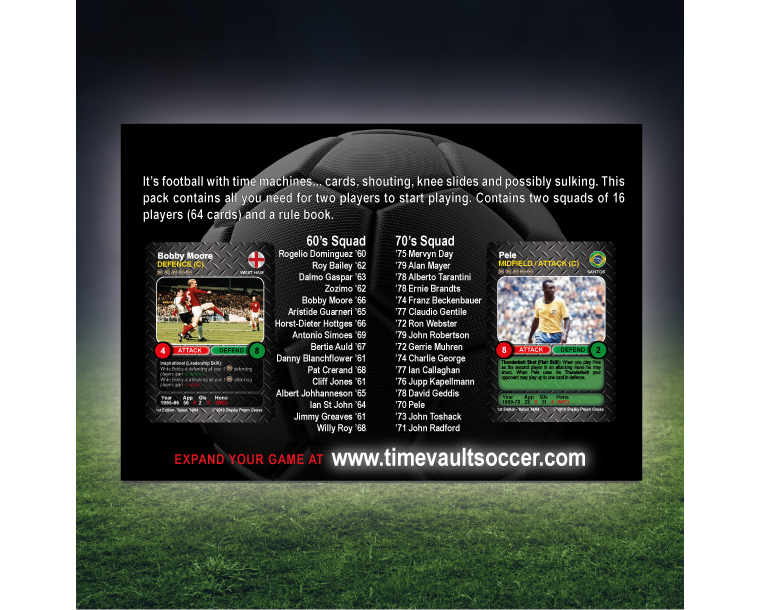 Ideal for first time players. 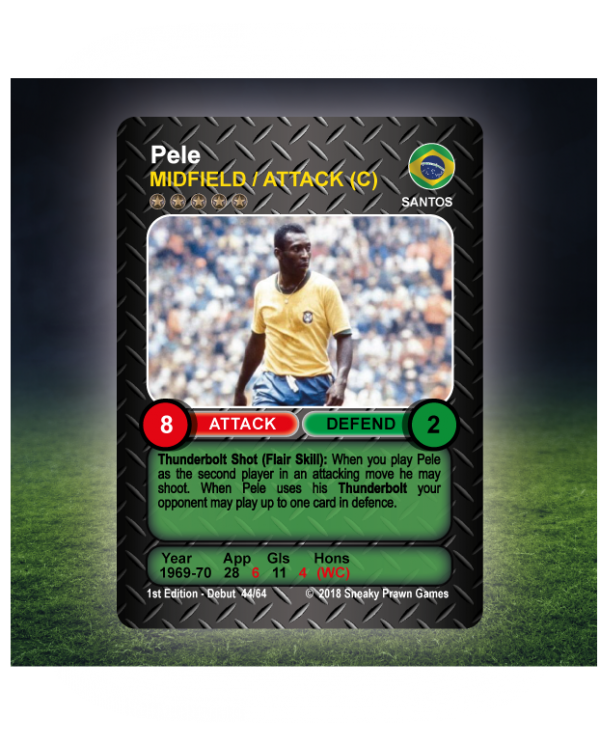 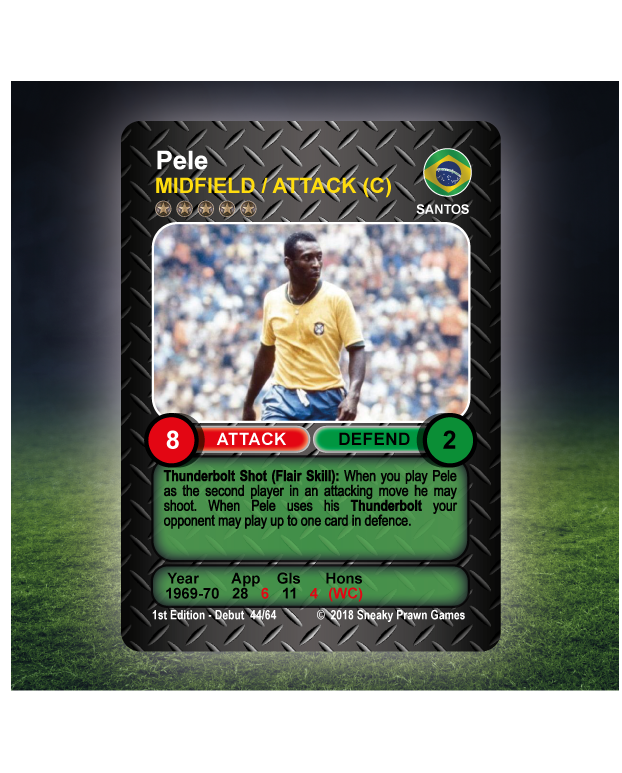 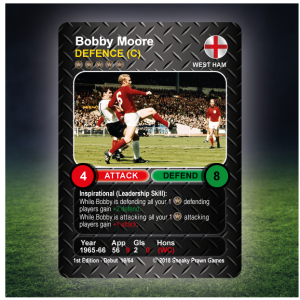 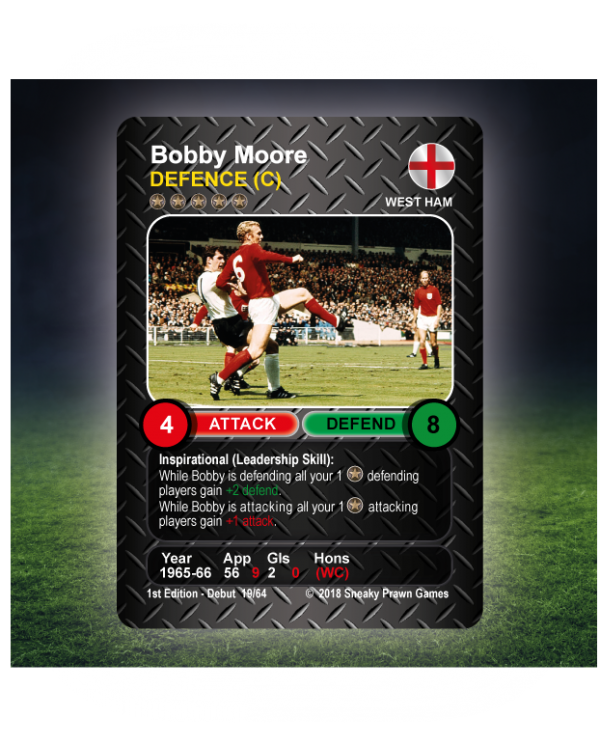 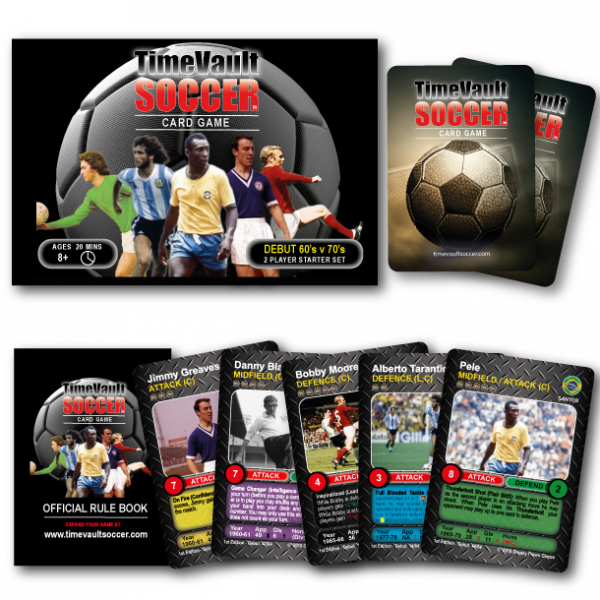 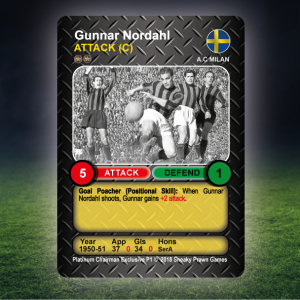 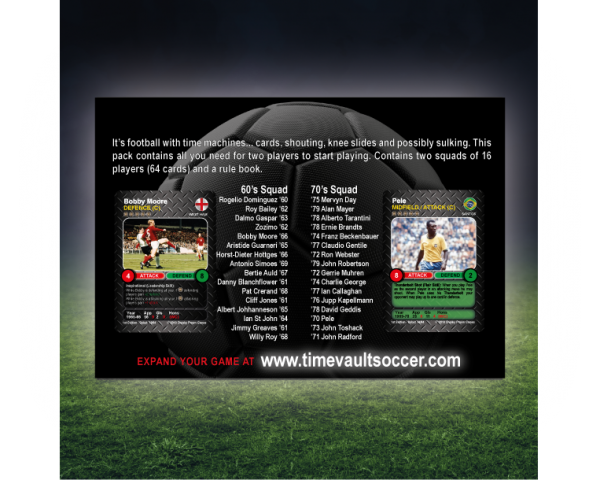 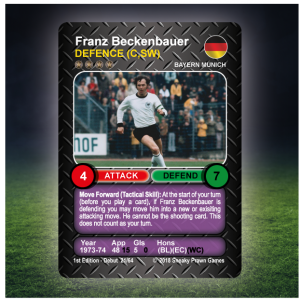 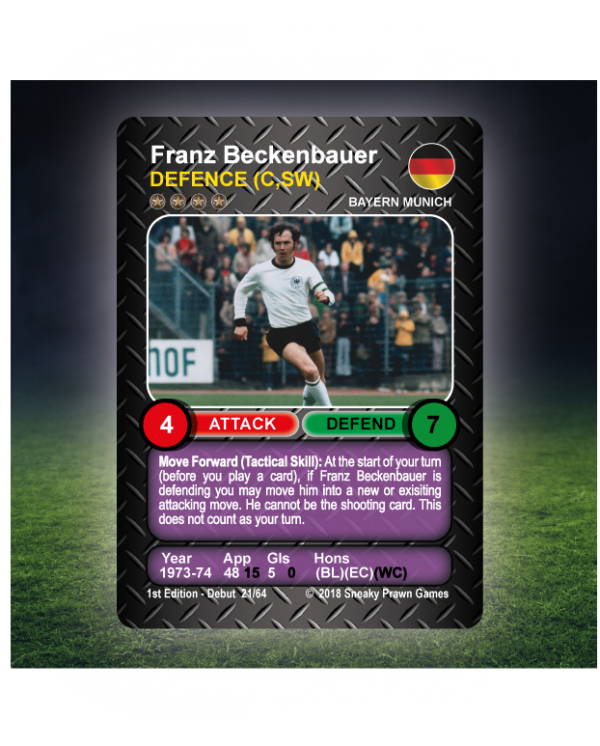 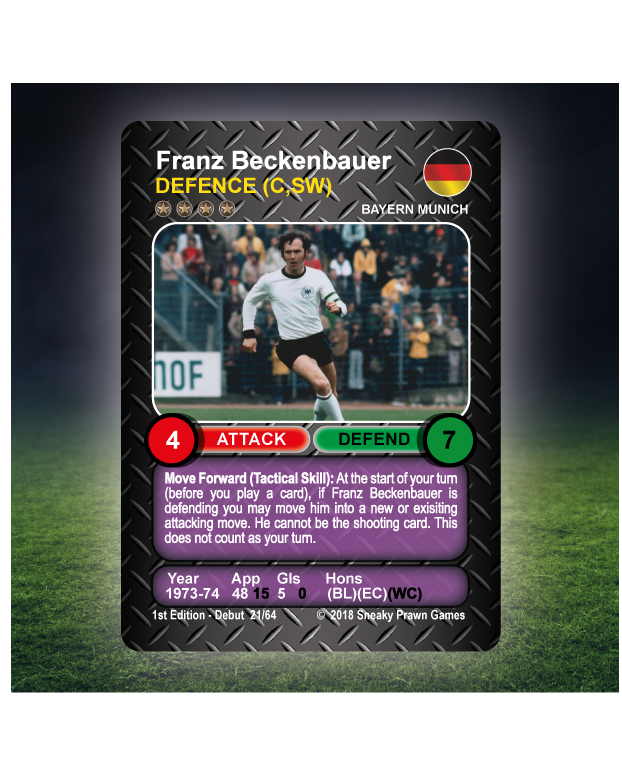 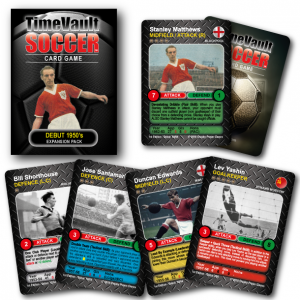 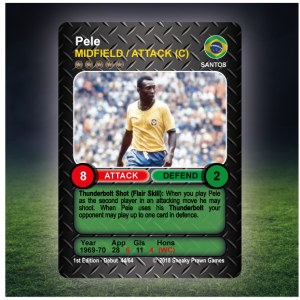 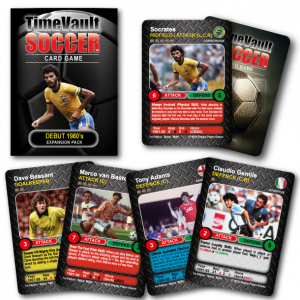 “Debut 60’s vs 70’s” is the Time Vault Soccer, two player, starter deck and comes ready to play straight out of the box with two pre-set football teams that pitch a squad of 16 Legends from the 60’s against their counterparts from the 70’s. 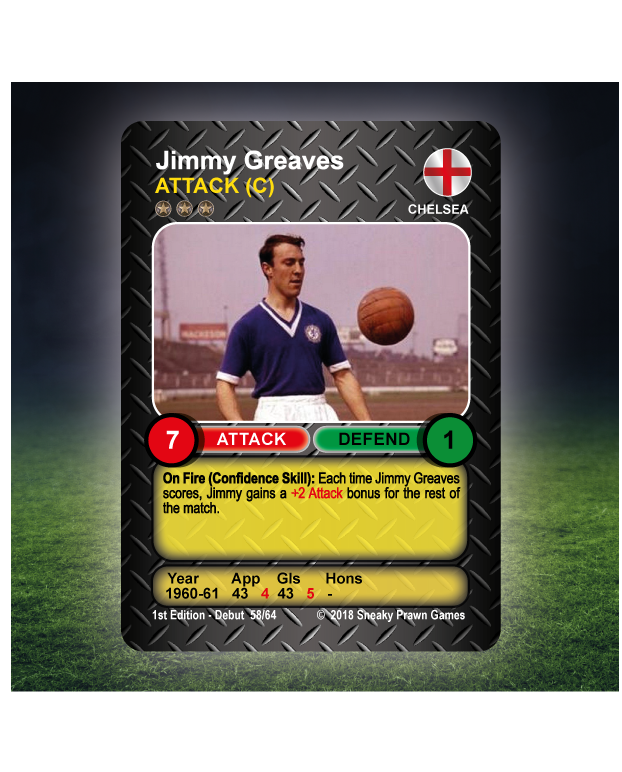 Danny Blanchflower (1961 Tottenham) vs Charlie George (1971 Arsenal). 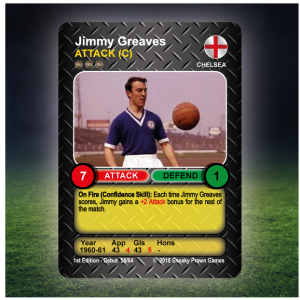 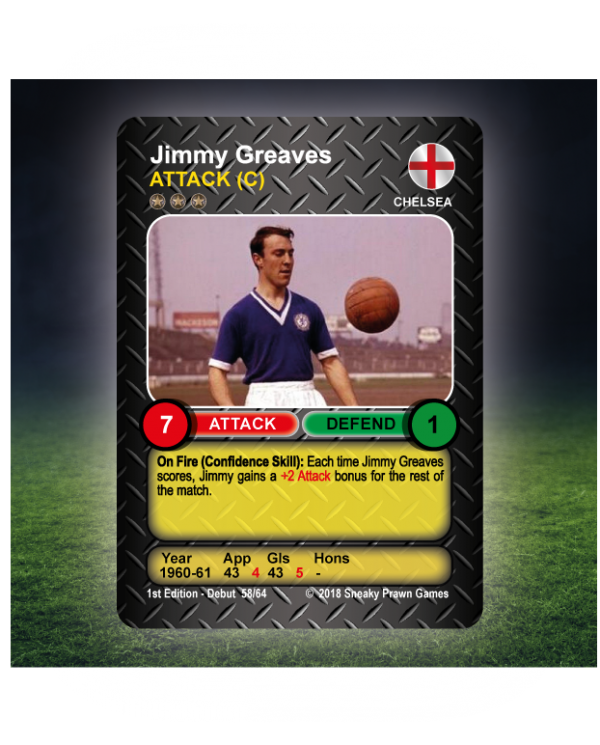 Jimmy Greaves (1961 Chelsea ) vs Franz Beckenbauer (1974 Bayern). 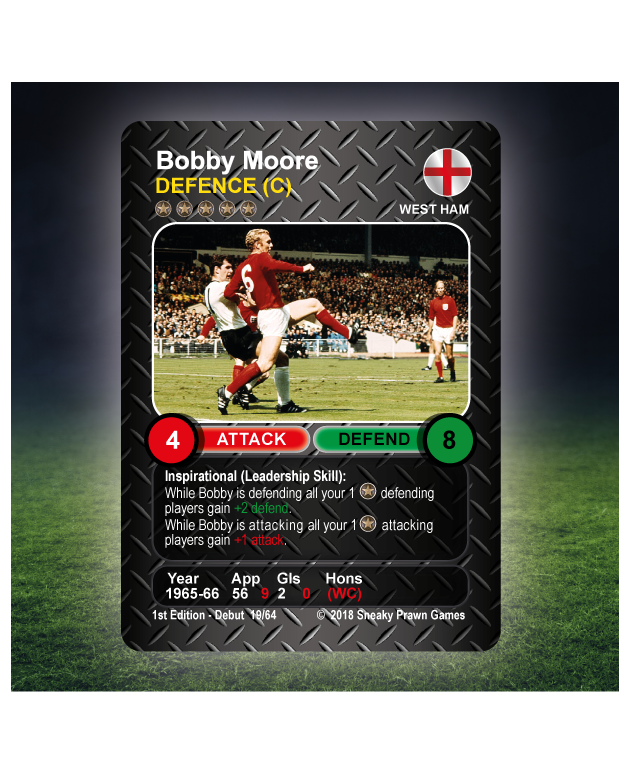 Bobby Moore (1966 West Ham) vs Pele (1970 Santos). Contains: Everything you need to start playing including 32 pairs of football Legend cards, 16 from the 60’s and 16 from the 70’s (64 cards) and official rule book.